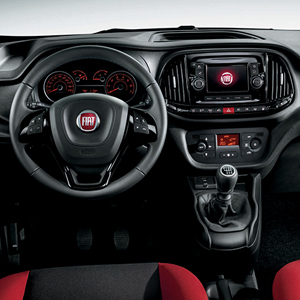 The New Doblò Combi has a completely updated front end, packed with style and technological content. The lines of the bonnet and front bumper further improve the aerodynamics, ensuring greater efficiency even at low speeds. The New Doblò COMBI also astounds on the inside: technology, functionality and materials create a comfortable work environment that’s perfect for every job. 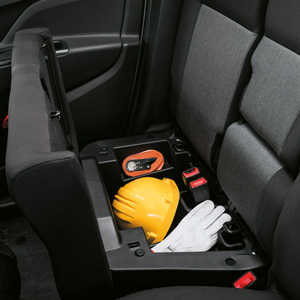 Many storage compartments on the dashboard and in the door panels offer a wealth of usable space for storing all types of items. The side door panels offer great versatility, with capacity of no less than 8.8 litres, to easily contain a 1.5 l bottle, two more half-litre bottles and an A4 notepad. 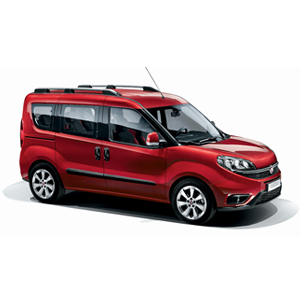 The Doblò Combi is designed to accommodate up to 5 passengers in the utmost comfort.The passenger compartment is full of light thanks to the extensive glazed surface and is equipped with storage compartments to keep everything in order: in this too, the Doblò is a true champion of versatility.